Supposed to be heading to Mama’s for a cook-out that was supposed to happen yesterday! Ninjas, I do declare! UGH! Anyhoo, I went to a surprise birthday party on Saturday and had been wracking my brain on something to take to Mama’s and it hit me, my girlfriend had shared a recipe with me last year for a Strawberry Cake and I got a chance to try it at the birthday party, so that’s my contribution for the shakey BBQ at Mama’s. I made 2, one for my family and one for home. Mama’s is all ready to go! 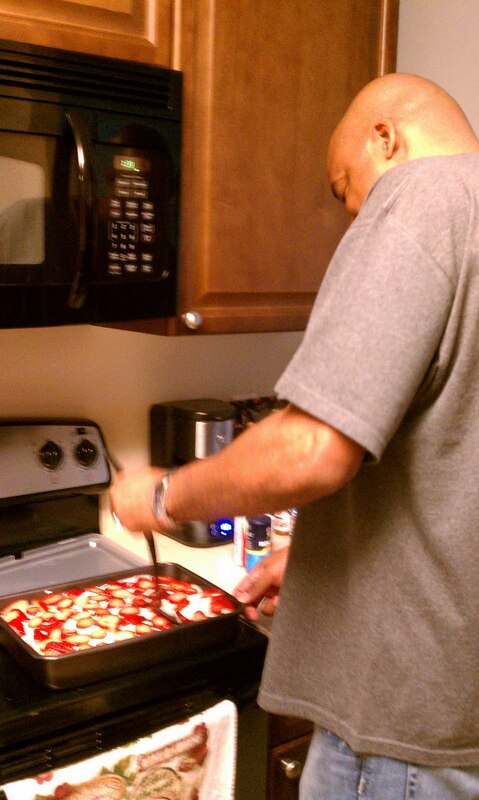 And the hubs is my taste tester! Duncan Hines Strawberry Cake mix (or what ever kind you like) 1box for a small cake and 2 boxes for a large one. 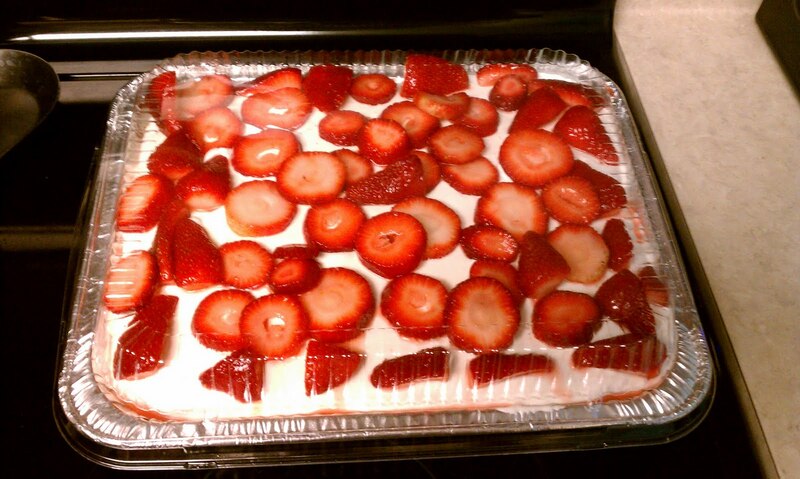 1 large box of Strawberry Jello ( you will follow the cakes instructions, but mix the Jello powder in with the batter. mix until creamy….frost cake once cake has cooled. Dice strawberries sprinkle with sugar and place in frig for about 30 min and then place on cake, on top of the frosting. 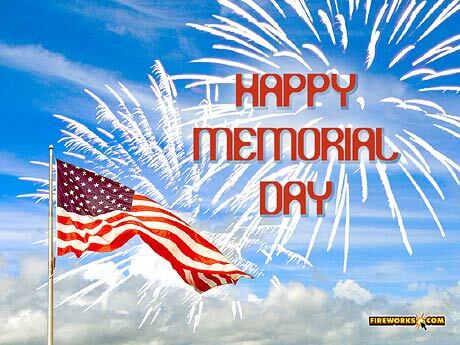 I hope you enjoying the holiday with family and friends! 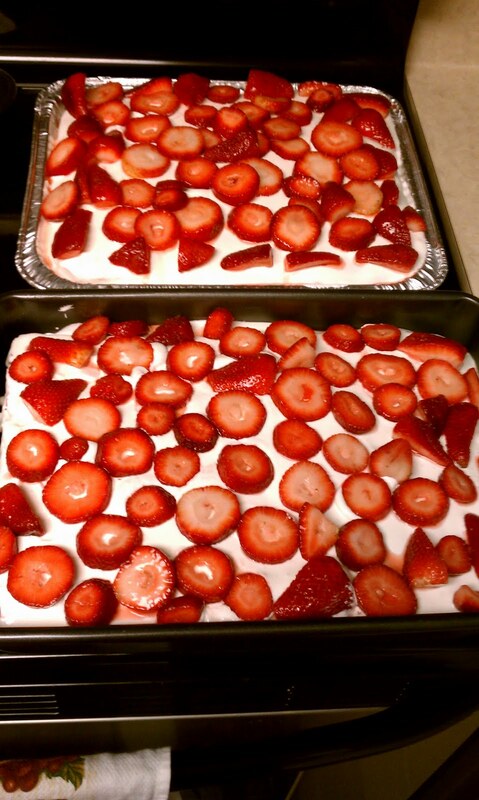 This entry was posted in Memorial Day, Recipe, Strawberry Cake. Bookmark the permalink.